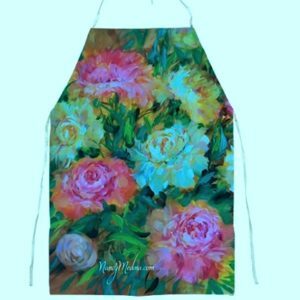 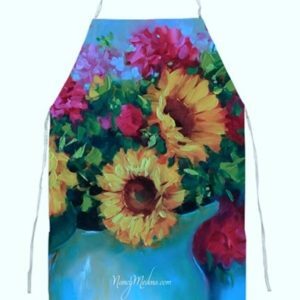 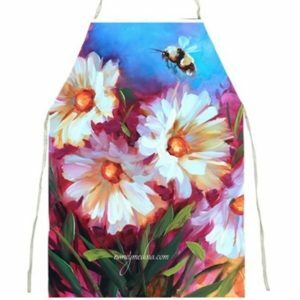 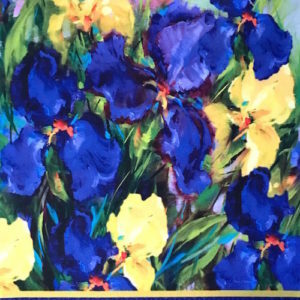 Add a bold and colorful statement to your studio attire with my new flower-full aprons! 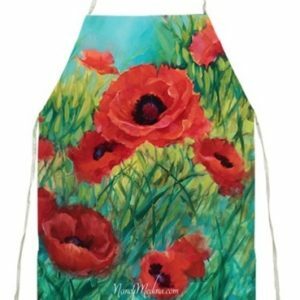 These are beautiful gifts, and are perfect for crafting, kitchen work, and – of course – painting time! 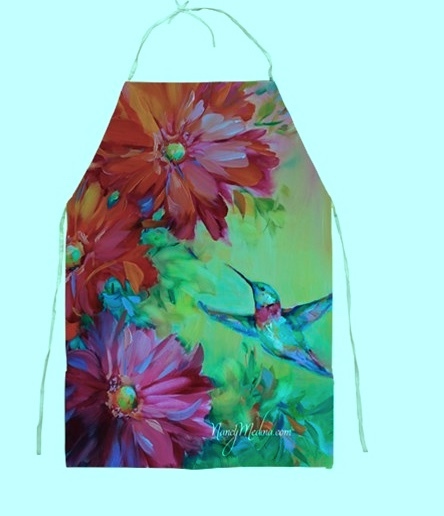 *Made from polyester; very silky feel and durable!